Snap on smile is one of the most advanced cosmetic treatments in the recent times. In today’s time, most of the patients look for the best options which are aesthetically focused. Moreover, in today’s time more number of patients want to be treated at a faster rate and at an affordable budget. Snap on smile is very creative than that of the other aesthetic procedures. Hollywood smiles take lot of time and the expenses are much more than the snap on smile. Also, the patients who have removable partial denture and want to get a better and comfortable smile can opt for the Snap on smiles. Patients who don’t want to get dental implants or bridges made can also choose Snap on smiles. The time period utilized in the snap on smile treatment is quite less. 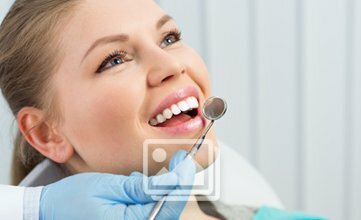 Snap on smiles are in great demand nowadays and therefore the treatments done are now quite advanced. The snap on smiles can be considered as a temporary as well as permanent cosmetic solution for your teeth. This ensures that the patients are able to build their confidence again with beautiful smiles. The best part is that the patients can eat and drink in the same way like they used their natural teeth. If an individual wants to have quick solution for broken teeth, yellowish teeth as well other aesthetic solutions and has to go to some important event then you will be able to utilize the snap on smile treatments in the best ways. The patients can choose the color and size of the artificial teeth before starting with the treatment. The dentist takes an impression of the upper and lower teeth or whichever arch is required and then the patient is called after a week time and the Snap on smile is placed on the teeth. Thus, Snap on Smile is a boon for most the patients concerned with the aesthetics of their teeth.